NEIGHBORS takes viewers to and from the U.S. and Mexico once again, exploring how aesthetics cross over from one country to another in a living and on-going cultural exchange. 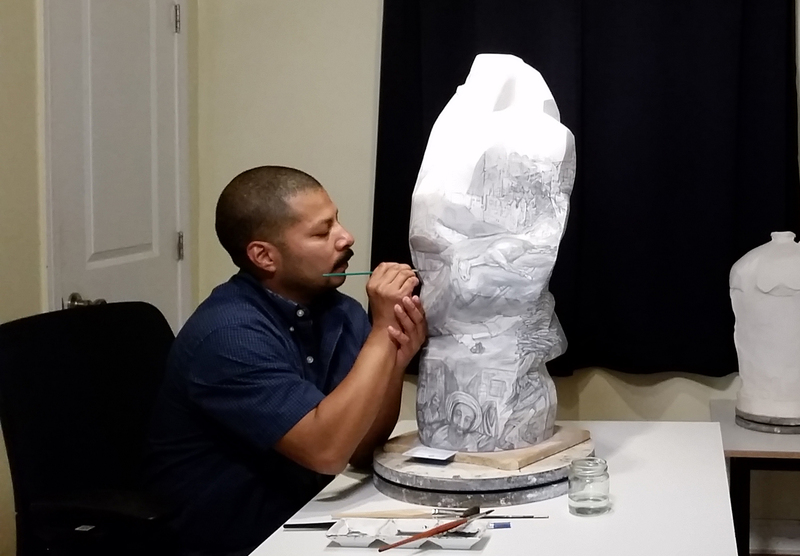 Ceramic artist Gerardo Monterrubio, whose work is inspired by his Mexican childhood and contemporary expressions of graffiti, prison drawings, and murals. 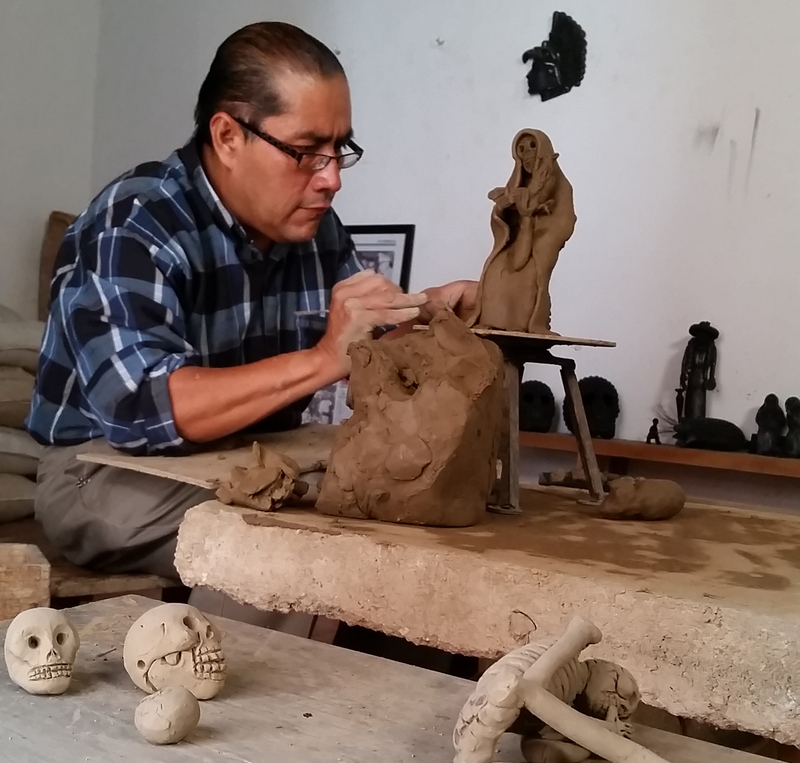 San Bartolo Coyotepec world-renowned ceramic artist Carlomagno Pedro Martínez creates figures of Zapotec characters and stories. 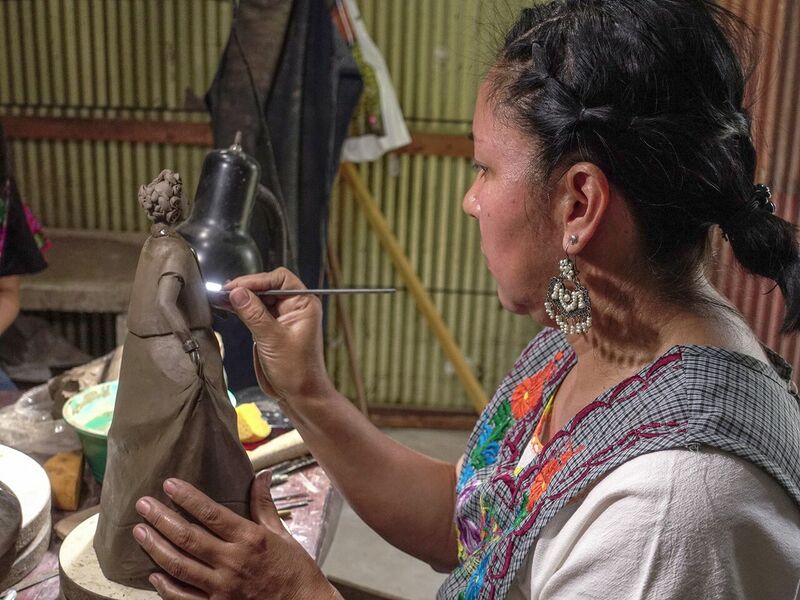 Carlomagno's sister, Magdalena Pedro Martínez creates black clay female figures dressed in traditional indigenous attire to preserve her indigenuous culture. Los Angeles glass artist Jaime Guerrero, who creates life-size glass sculptures that represent children at the border. 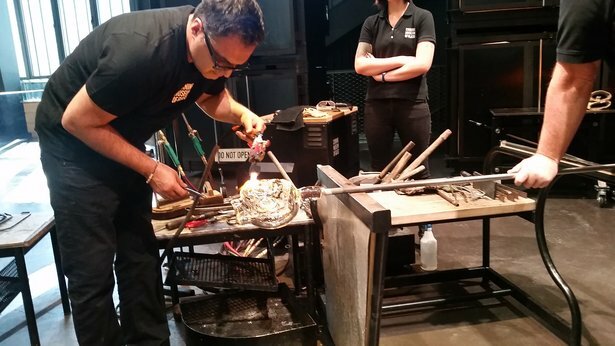 We film him at his studio in L.A. and at the state-of-the-art facilities at The Corning Museum of Glass in New York. 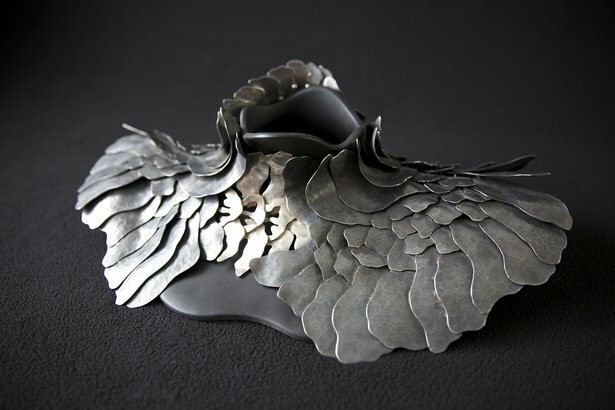 Miguel Angel Ortiz Miranda, Carmen Tapia, Cristina Romo, and Eduardo Herrera, - a new generation of jewelry designers in the city of Taxco, who are carrying on the art of silversmithing in modern ways. In the 1930s, Taxco became a center for jewelry production in Mexico through the entrepreneurship of American architect and designer William Spratling. We learn how one American could influence design and change the lives of thousands of people on both sides of the border. 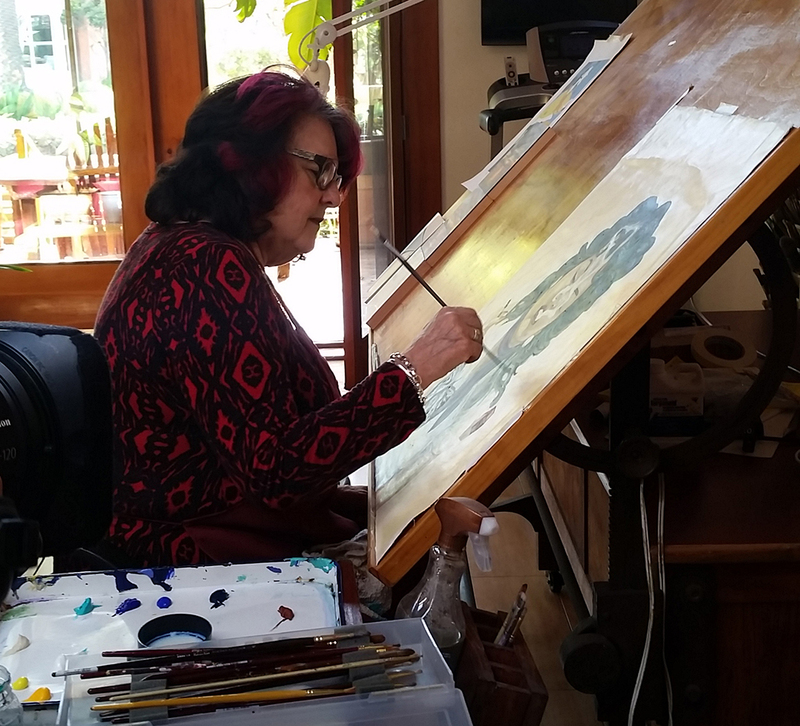 Artist and muralist Judy Baca created the “Great Wall of Los Angeles” to tell untold stories and to carry on the traditions begun by Mexican maestro muralists Diego Rivera, David Alfaro Siqueiros and José Clemente Orozco. S9: David Alfaro Siqueiros' mural "América Tropical"
S9 Ep2: Gerardo Monterrubio on "Serrano Street"
S9 Ep2: Gerardo Monterrubio on "Juquila"
S9 Ep2: Gerardo Monterrubio on "Puño de Tierra"